Mars Shipping Agency has specialization in offering highly effective Hazardous Freight Service. 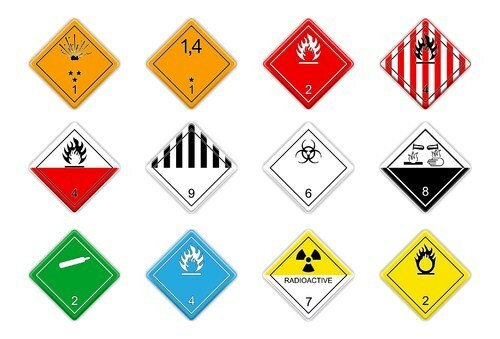 These services offered by us are used in handling the sophisticated procedures for international shipment of hazardous materials. Our services are rendered effectively by meticulous professionals in accordance with clients precise requirement while following international shipment norms, our services can easily be availed at reasonable rates. Established in the year 2004, we - Mars Shipping Agency have established ourselves among the foremost companies providing complete logistics solutions and freight management & forwarding. We as a freight forwarding service provider are intended to provide precision services like Custom Clearance for Import and Export consignments at Nhava Shiva (JNPT), Mumbai Sea Port and Air Cargo Complex. We arrange clearances under various schemes (100% EOU, STP and general consignments). We also arrange Sea Freight Forwarding Service, Air Freight Forwarding Service, Transportation Services, Insurance Services, Door to Door Logistics Solutions and trading of used containers. At MARS, we offer a whole range of customized services in the field of clearing and forwarding. We strive to address our valuable customers' demands and to give them utmost satisfaction by providing personalized quality service of our committed staff and economical charges. We understand customer needs in international trade in the competitive world.